Maybe it’s a rare beauty that takes the mind by surprise and stops time. 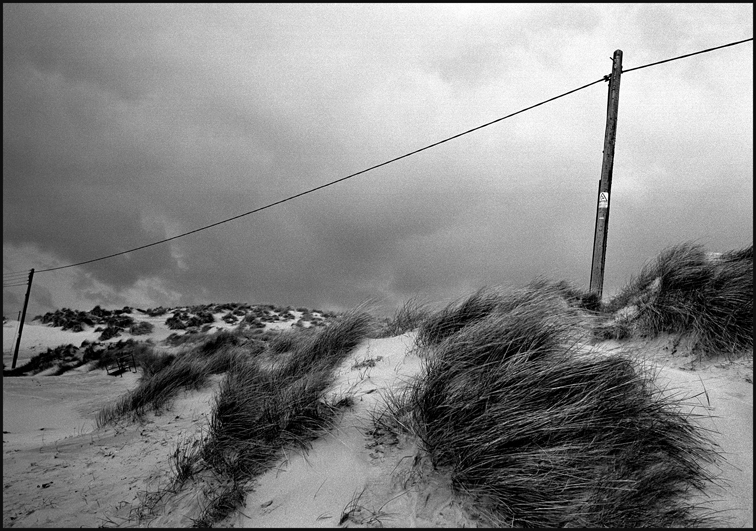 The washing line reminded me of another bliss I met on a stormy day in the sand dunes of Rye on the Sussex coast. To take the photograph I balanced with difficulty on a lifeguard tower that was rocked by strong winds, leaning precariously backwards to get the frame right. The light was sombre, the stirring in the air not playful but intense, yet bliss was present. When I lose my bliss I pray for its return, like one would call on an imagined angel to make itself known. Occasionally I find a feather on the ground and think – it came and I missed it. Then again, no instance of bliss is lost; the experience is incorruptible and lives on in the calm depth of life’s pulsing heart. Everyone has their own kind of bliss. … job completed to the best of my ability … yes, yes 🙂 And those aha moments, they connect us up. Yes, moments in nature, the light through the trees or the ripple in the waves all of that but also a feeling of joy that sometimes comes from nowhere and then I find later that there were unseen things moving in my life that are only revealed when the time is right. I love those moments and can’t wait to hear what it was that happened. This work of yours commands the mind to remember. I have just reviewed a verse which takes pride of place on our refrigerator. ‘Life is not measured by the number of breaths we take, but by the number of moments that take our breath away’. What you wrote and the way you go about seeking joy, is beautiful. Many joys are there waiting for us to make the time. I trust my journey will be as fulfilling as the life you share with us. Hi B, thank you – what a lovely phrase … ‘Life is not measured by the number of breaths we take, but by the number of moments that take our breath away’… those few and precious experiences are the landmarks in our lives. So true! And your piece is one such moment for me. The picture is beautiful. I too have my blissful moments. One morning, I was sitting in what I call my Georgia room, but it is my patio glassed in. The sun had come up slowly. I looked out of my patio windows and there was a berry tree with white blossoms, but it was not yet spring. I kept looking at it and the blossoms remained. I saw it as a sign of God to me that he’s still there and I still matter to him. I treasure the blissful moments that come to me. A rainbow that suddenly appears and is there for only a few moments, or sometimes I wake up at 4:30 in the morning because the birds are chatting away below or above my opened window. These are moments that revive me. I truly enjoyed your post. Wonderful, the the tree in white bloom before spring. I guess there are more realities than the one we take for granted. I love this post, it’s quite entertaining. And moments like this enrich life. I found your post on Patricia Garcia’s blog “Walk On”. 🙂 Nicely done. A lovely reminder for me on this hectic morning, to find at least a few moments where I can be open to notice such things. It doesn’t take much–a slight pause–and its rejuvenating. Lately I’ve been mesmerized by the routines of the critters who frequent even my suburban backyard. Thanks for your reminder. Thanks Mary. Same here. Critters, I assume you mean small animals, are an endless source of fascination. I sometimes think it would be so rewarding to study a particular species professionally, in depth, with apt devotion, like Matthew Oates, the butterfly man, whom I met over several summers in a property where Purple Emporers were breeding. Sometimes it’s an expansive horizon, a sunrise or a sunset, but what I love the most is when it’s a simple task, like washing the dishes, cooking a meal, folding the sheets – there is usually where my bliss lies! I found you through Pat Garcia. Lovely to meet you here, through Pat. You got the knack Yolanda. Serenity can be found in doing simple tasks with love and care. It does not come from being stoned, though it lives in stone. It lives in wood long after the tree has fallen. like the short sustain of an acoustic guitar. It passes through things, with light. The enphant terrible of the Beats. He was a little coy with beauty. 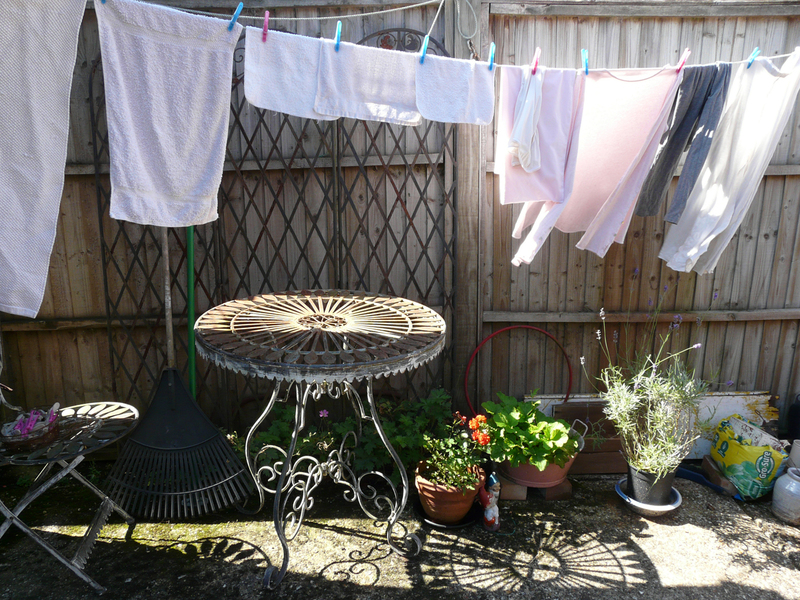 Wonder if he washed his cottons and saw them dry with the breeze blowing through them. Like most of the other Beats, Corso was really a fish out of water (how’s that for an original?). Perhaps, when it came to beauty, he thought there actually was world enough and time, no crime. But the stone thing, that was mine – and I thought it captured this idea of ‘bliss,’ its ambiguity and effervescence, for yes, it’s a bubble that floats by and when you reach out for it, pops. ‘Gasoline,’ Corso’s book with City Lights, I discovered at Either Or Bookstore in Hermosa Beach years ago, and I’ve never forgotten it. Still have the copy, a Pocket Book. I love the sunrises and sunsets. When I leave for work, I have witnessed some of the most amazing hues as the sun rises.